A peanut butter sandwich is as American as apple pie. What are your thoughts on peanut butter, though? 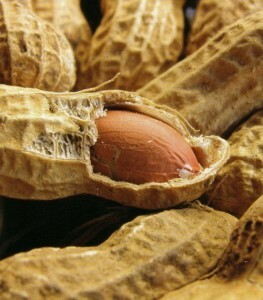 I’ve been hearing that peanuts, which I know are actually legumes, aren’t as healthy as tree nuts. Should I be making my sandwiches with almond butter instead? I don’t have any issues with peanuts or peanut butter. When it comes to nuts (and, yes, for the sake of this post we’ll treat peanuts as such), my recommendation is to always have one serving of some nut every day. One serving is made up of 13 walnuts halves. In the case of almonds, that’s 23 individual pieces. If you’re talking pistachios, you’re looking at 49 kernels! The issue with nuts is that you could label any one as “better” or “worse” than the next, depending on what criteria you use. All of them, meanwhile, are good sources of vitamin E, magnesium, and manganese. Calorie amounts range from 155 (cashews) to 195 (pecans). I always recommend varying your nut intake since each variety contains unique phytonutrients and antioxidants that have been linked to an array of health benefits. Peanuts, for example, are a wonderful source of resveratrol (the same antioxidant in red wine and grape skins), while pecans contain high amounts of beta-sisterol, a cholesterol-lowering phytonutrient. Andy, this is a wonderful resource to use! Thanks! I’ve been buying a variety of nuts on sale and bringing them to work to share in our little group…heh, also brought in a jar of individually wrapped Nori-seaweed snacks…that got everyone laughing. But, it’s my small effort to help people eat a little healthier, myself included. We have no vending machine in our office (yay!) but every now and then someone will say “God, I’m so hungry!” They’ve been eating the low-salt cashew & pistachios, not the seaweed … yet! What a great way to share the healthy wealth! Andy, actually, a boss tried the seaweed…(I knew that he doesn’t even go near sushi, so this was not a surprise)…and he REALLY did not appreciate it…hey, at least he tried it! He thought it was too fishy! My theory is that if you like sushi, you can eat seaweed, no problem.